Buy to let can be a good investment but not everyone can be successful when looking for property to buy in Bristol, especially those just starting out as a landlord. Take the lottery out of letting and get some great advice when you follow our 10 buy to let investment tips below to help you when buying rental properties in Bristol! Before you start a business you draw up a business plan. Investing in buy-to-let properties is a business not a hobby, so you need to ensure your plan includes a cashflow forecast, a description of your market and a breakdown of the areas you are looking at. In addition you need to set out a profit and loss forecast for a minimum of five years. Successful buy-to-let properties are attractive to their particular market. For example families will want good schools in the area, family friendly amenities like parks and a sense of community. Young professionals tend to prefer access to bars and restaurants and they like to be closer to the city centre, whereas being part of a community is not as important. If you don't know the market in Bristol then why not consider our Personal Shopper Service? Where does your target market like to live in Bristol? Once you know your target market, concentrate your search to areas where they live. There is no point in deciding on family properties and looking in Bristol's city centre, conversely a nice suburban semi in Henleaze or Westbury on Trym is not that attractive to young professionals as it's located further out. The costs involved in buying and running a buy-to-let property is not just about rental income and mortgage payments. You need to factor in your pre-purchase costs. These include stamp duty, legal fees, mortgage advisor fees, and surveyor fees. Then there are ongoing costs, building and contents insurance, block management fees, ground rent, ongoing maintenance and agents fees. These must all be factored into your business plan. Before you make an offer on a property make sure you are prepared. Have a solicitor ready (ideally one that knows the Bristol market), have a mortgage agreed in principal, and know what you are looking for. With a hot property market like now, estate agents are getting a lot of timewasters and can be quite particular to who they think might be “tyre kickers”. If you show you are serious and are prepared, they will contact you with new property you can buy as an investment, before it is advertised to the general public. Estate agents are sales people, they have targets and get commission on sales. They want you to buy a property through them, and sometimes this enthusiasm for a sale can lead to a little exaggeration when it comes to potential rental income. If you see a property you think could be a good buy-to-let opportunity, get a second opinion on potential rent from a specialist letting agent, preferably one with 20+ yearsʼ experience in the Bristol market, such as ourselves! Just because a property looks good in the daytime it doesnʼt mean itʼs not party central after dark! What are the local schools like? How easy is it to get to the centre? Make sure that the area has the amenities to suit your market. Empty properties donʼt earn you money but still incur you costs! It is better to have a good tenant at a lower rent than a bad tenant at a higher rent, or worse still no tenant at all in the hope of generating an extra £100 a month. If your property is not perceived good value, it will not get let out as quickly as you would want. As we said before, buy-to-let properties are a business. Our most successful buy-to-let landlords own properties they wouldnʼt dream of living in. They realise this is a business asset and have no emotional attachment to the property. You do not have to like your property to successfully let it to a tenant. How much rent will the property achieve? Does the rent cover your costs, even if it is empty for a period of time? Will I get over 90% occupancy? You should expect a minimum of 48 weeks a year occupancy. Will I see capital growth? Looking back over a 5-10 year period, has the property increased in value? All things being equal, if I need to sell the property, will it quickly sell to someone in Bristol? If your potential buy-to-let property has positive answers to these 4 “Key Questions” then this could be a rental property worth investing in. 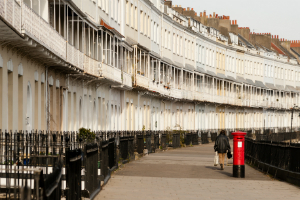 The Next Step in Purchasing a Bristol Rental Property? Why not try the Accommodation Unlimited ʻBuy-To-Let Personal Shopper Serviceʼ and let us help you find a buy-to-let that fits your market and your budget, and if Accommodation Unlimited manage your property, weʼll provide the service free of charge! Visit www.aul.org.uk/personal-shopper for more details.